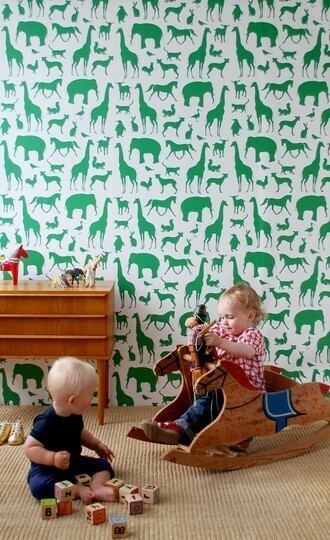 Decor by Denise Featured in Today’s Edition of The Washington Post – Plus Get Playroom Ideas for Your Home! Check out my guest appearance in today’s edition of The Washington Post – feature article “A Playroom Makeover in Annandale.” My work is featured in the special design segment, “House Calls” in the Home & Living Section. The Washington Post pairs local readers’ design challenges with an interior designer. The result is a before and after makeover with tips and tricks for making the most out of their space. A sketch artist from the Washington Post brings my ideas to life and thus a virtually designed room is born. I love participating in this feature! This is my third time and I always find the experience to be rewarding. To learn about the design process of this room in more detail, please see our previous blog post: Sneak Peak at Our Design Feature in the Washington Post. Additionally, in the spirit of children’s play rooms I thought I would share a few more pictures of my favorite cozy kid nooks. Enjoy! ← Fashion for Paws Fundraising Events and Raffle Winners! Denise – these are beautiful. 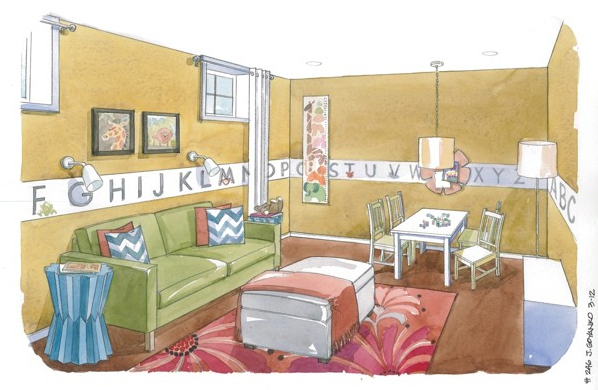 The little ones probably do not ever want to leave these rooms. Thanks Mom! The rendering they did doesn’t reflect the vibrant colors, so it is a little off, but I think it turned out ok. Thanks for checking it out!!! Love you and can’t wait to see you Easter weekend!!! Same here although it will be too quick. Are Jake & Eddie getting Easter baskets??? Hope Ginger will still be here then, but she is looking worn out. She is such a great doggie I am having a hard time with the decision I have to make, but I know it has to be made. She will be 15 on April 3rd!!! Can you believe she has been with us that long??? Time flies!! Please tell Sarah she is constantly in my prayers. Hey There. I discovered your weblog using msn. That is a very neatly written article. I will be sure to bookmark it and return to read extra of your helpful info. Thank you for the post. I’ll definitely return.